The Internet of Things, which is more commonly being known as IoT is more of a concept rather than a specific term used for some technology. It is a broad term used for the connectivity to the internet that is lent to everyday objects and devices that we commonly use. To put it very simply, the idea of IoT is to link any electronic device with the internet and to one another. This can include anything from our cars to coffee makers to cell phones and even our house lights or possibly anything that comes to your mind. It can also include industrial components and manufacturing devices like the engine of a car or an oil rig’s drill. According to Gartner, by 2020 there will be over 26 billion connected devices linked to the internet. What is even more astounding is the estimate of the market size of IoT by 2020, which according to reports will reach over $457 billion! In terms of trends that are to be expected over the next few years in IoT will include technologies like artificial intelligence, social, legal and ethical IoT, Governance through IoT, Sensor Innovation, Trusted hardware and OS, to name a few. Herein will be discussed three of the most popular trends in IoT currently. Artificial intelligence or AI has made significant progress in the past few years and has lent business process increased efficiency and productivity. Whether it is fraud protection solutions like Know Your Customer (KYC) systems or regulatory compliance solutions systems like AML screenings or healthcare systems like diagnostic solutions. AI and machine learning-based systems are primarily fed through data, which is also the primary fuel for IoT. AI can, therefore, be applied to a range of IoT devices and solutions. Some of the many areas where AI can play an important part to shape IoT will include speech, videos, static images, traffic activity networks and data gathered from sensors. According to experts, AI is a complex branch of technology that entails a number of sub-branches. It has a wide range of possibilities and solutions that can be employed across different functions in different capacities in both businesses as well as our daily lives. IT executives, therefore, need to strategically adopt AI into their companies’ frameworks. With such a vast amount of connectivity lent to everyday objects and processes through IoT, the major concern of our generation is ethical and responsible IoT. Some of the latest innovations through IoT have raised social, ethical and even legal concerns. One of the major concerns in this area is cybersecurity; the possibility of fraud and cybercrime increases as the connectivity and range of tech expands. Other concerns include data ownership, algorithmic bias, privacy and compliance issues. The ideal IoT system must not only be effective technically but also be made socially acceptable. The privacy of end users must be kept in mind and their data must be protected legally, its sharing controlled legally. Data protection guidelines like GDPR have been introduced for this very purpose by regulators; i.e. to control how data is accessed and protected by companies. As the Internet of Things expands its reach into every aspect of the corporate and consumer market, there needs to be a proper governance system that keeps the information in check. It is primarily a continuation of IT governance and focuses on governing and maintaining IoT structures. It ensures that the systems and processes existing within the architecture of IoT are being managed, maintained and updated properly. It’s also establishes a common practice to create, store, implement and delete data coming from IoT systems and projects. 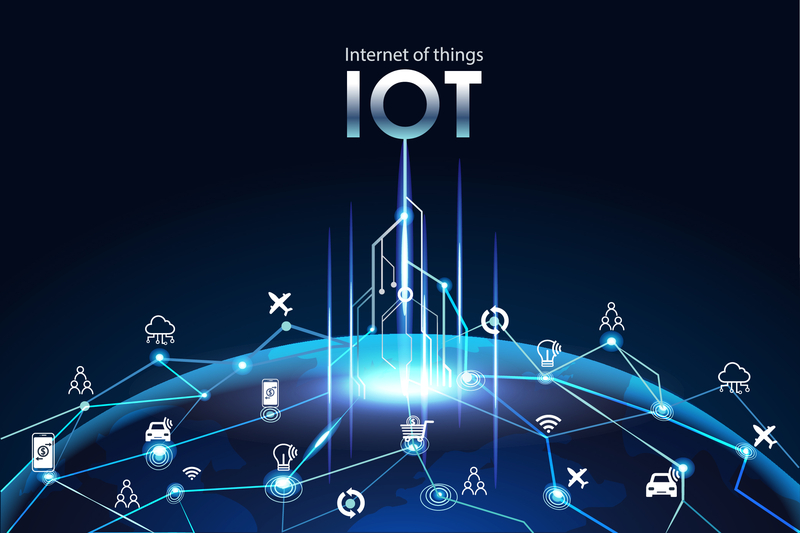 Governance of IoT can include a number of different tasks including device audits, system upgrades, and sophisticated tasks like the management and control of systems and using their information effectively and productively. It helps a firm to invest in professional resources to implement an IoT governance structure and make the whole firm more aware and responsible for it. In sort, IoT systems are becoming more and more advanced as developers are moving to integrate mobile apps with devices and everyday use appliances. The face of IoT, in the next couple of years, will shape our technological landscape into a more integrated and connected one. With the help of IoT, we shall have access to smart enterprises and homes, thus saving energy. ← How Back Door Hires Can Help Your Company Loss?